Dextero tires are manufactured by GITI Tire. Singapore-based Giti Tire Group, one of the largest tire companies in the world, operates eight manufacturing plants worldwide, and produces a broad range of tire products, serving consumers in more than 130 countries. Giti’s first North American manufacturing facility, located in Chester County, South Carolina, is scheduled for completion in 2017. Where can I find Dextero Tires? Dextero Tires are only available at Walmart and Walmart.com. Check our dealer locator for the nearest location. The nubs are the rubber that has been pushed or pulled into the mold vents to ensure the proper shape of the tire. When tires are removed from the molds, these nubs remain part of the tire. The last four digits of the DOT number on the tire sidewall are the week and year of manufacture. For example, if the last four numbers on the DOT are 0111, that tire was made in the first week of 2011. The number “2109” indicates a tire that was made in the 21st week of 2009. Consult a qualified tire professional if you have any questions. Dextero DHT2 and Touring DTR1 are "all season" tires, and have the M&S designation on the sidewall. Where are Dextero tires manufactured? 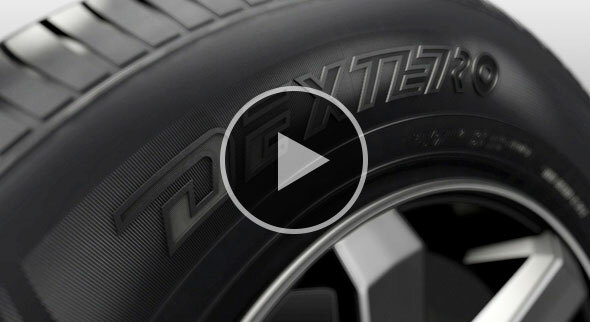 Dextero tires are produced by GITI Tire, a leading global tire company, with eight manufacturing plants worldwide, and a new, North American plant scheduled for completion in 2017. Giti Tire sells quality tires in more than 130 countries. How long has the Dextero brand been around? Dextero tires are manufactured by GITI Tire, which traces its roots in the tire industry to 1951. What does plus sizing mean? Plus sizing implies the increase of the rim diameter from the original fitment while maintaining approximately the same overall tire diameter, without negatively affecting the vehicle performance. Example: if a customer has a 15 inch wheel and wants to switch to a 16 inch wheel, it is known as a plus-one fitment: an 18 inch wheel would be a plus 3 fitment. To simply adopt a different tire size on an existing rim is a considered a "plus zero" fitment. How do I read the sidewall of my tires? Uniform Tire Quality Grading. A government-mandated tire rating system based on a tire's performance in tread wear durability, traction, and temperature resistance. UTQG ratings are branded on the tire's sidewall. What is the difference between a P- Metric and LT? A P-Metric (per TRA standards) or Metric (per ETRTO standards) tire is designed for passenger cars, crossovers, some SUV's, and some light trucks. An LT Tire is designed and built for Light Trucks and is usually capable of a higher load carrying capacity than P-Metric or Metric sizes. Any replacement tire on any light truck must be of a size and load range that will offer equal or higher load carrying capacity compared to the original equipment tire on the vehicle. Note that size for size, LT tires require higher air pressures to carry equivalent loads of P-Metric tires. Proper air pressure is critical, insufficient air pressure will result in excessive heat build up and premature tire failure. The LT-Metric tire may provide a harsher or stiffer ride than O.E. P-metric tires. What is the difference between a P- Metric and Metric tire? There are two major size designations commonly used for passenger car tires, called P-metric and Metric sizing. If you see a “P” in front of the tire size displayed on a tire’s sidewall it is a P-metric tire. If there’s no P, it’s a Metric tire (also called Euro-metric or Hard-Metric). In the past, P-metrics were the most common size designation found on domestic cars, minivans, and light-duty pickups and SUVs. Foreign cars generally came with Metric tires. These days, however, you may find P-metric and Metric tires on all types. For example, look at the differences between a P215/60R16 and 215/60R16 tire, they have about the same dimensions and appear to fit interchangeably, but there is a difference in the two- or three-digit number following the size called the load index. The higher the load index, the greater the load-carrying capacity of the tire. The P215/60R16 has a load index of 94, corresponding to a maximum load of 1,477 lbs at 35 psi; the 215/60R16 tire has a load index of 95 for a maximum of 1,521 lbs at 36 psi. Both types use different load and inflation formulas; as a result, a metric tire has a slightly greater load index and higher load-carrying capacity reserve than its P-metric counterpart. "If your car came with P-metric tires, you can replace them with P-metric or Metric tires. The Metric tire will have greater load capacity reserve than what came on the car as original equipment and is an acceptable substitute. Since P-metric tires have a lower load capacity reserve than their Metric counterparts, you shouldn’t use a P-metric tire size counterpart of the Metric tire that came on your car as original equipment. It is also recommended not to mix P-metric and Metric tires on a vehicle as it could compromise handling, braking, and cornering performance. " Can I really go as fast as my tires speed rating says I can? Can I mix different speed - rated tires on my car? If tires of different speed ratings are mounted on a vehicle, the lower speed rated tires should be placed on the front axle. This is to prevent a possible oversteer condition. Vehicle handling may be affected, and the vehicle's speed capacity is now limited to the lowest speed-rated tire. Do Dextero tires have a balance mark on them? No there is no balance mark on Dextero sidewalls. How much weight/load can my tire carry? The maximum tire load limit is molded on the sidewall of the tire. The maximum vehicle load limit is on the tire information placard located on the vehicle door edge, door jam, or glove box door. Rim range represents the allowed rim widths that will assist the tire and wheel in meeting its performance potential. By selecting a rim width in the middle of the manufacturer’s range, will achieve balance between ride, handling and tread wear. Choosing a rim nearer the maximum width allowed, improves cornering traction and steering response. Using a rim at the lower end of the range will create curve out on the tire, slowing steering response. Can I put 2 different size tires on my car? It depends on vehicle, axle, tire sizes and patterns, etc. Please visit your nearest Dextero retailer for more information. How do I know when I need to replace my tires? The tire is considered worn out when any main groove is worn to 2/32nds or below, which is when the tire rib is at the same level as the wear bar. To inspect your tires, please take to a local Dextero retailer near you. Why do I need to rotate my tires and how often should I have them rotated? Tire rotation can be beneficial in several ways. When done at the recommended times, it can preserve balanced handling and traction and even out tire wear. Our Mileage warranties require tire rotation to keep the warranty valid. We recommend that tires be rotated every 3,000 to 5,000 miles even if they don't show signs of wear. Tire rotation helps even out tire wear by allowing each tire to serve in as many of the vehicle’s wheel positions as possible. Remember, tire rotation can’t correct wear problems due to worn mechanical parts or incorrect inflation pressures. What is the recommended air pressure for my tire? The recommended air pressure can be found on the tire information placard on the vehicle door edge, door jam or glove box door. You can also refer the vehicle owners manual. If it is a plus size fitment, please consult a Dextero retailer for proper tire PSI recommendation. Why is checking the air in my tires so important and how often should I check them? You should check your air pressure once a month. However, to provide a greater level of safety, the tires should be viewed as you walk toward the vehicle every day. Under-inflated or over-inflated tires may result in poor handling, uneven tread wear and increased fuel consumption. When should I check the air pressure on my tires? It is best to check the pressure in your tires when they are cold, that is after the vehicle has been parked for at least 3 hours or driven less than 1 mile. It is recommended to check your inflation pressure in the morning after the vehicle has been parked overnight. Can I inflate my tires with nitrogen? "Yes, since nitrogen is an inert gas. It is simply dry air with the oxygen removed (air contains nearly 78% Nitrogen). The physical properties of nitrogen reduce the pressure loss due to the natural permeability of the materials of the tire. Unfortunately, there are other possible sources of leaks (tire/rim interface, valve, valve/rim interface and the wheel) which prevent the guarantee of pressure maintenance for individuals using air or nitrogen inflation. Tires manufactured by Dextero are designed to deliver their expected performance when inflated with air or nitrogen, as long as, the user respects the pressures recommended by the vehicle manufacturer on the vehicle's placard or by Dextero. Regular pressure maintenance remains critical whether they are inflated with air or nitrogen because under-inflated tires lead to the following conditions: reduction in wet traction capability increased sensitivity to road hazards reduction in tread life increased fuel consumption reduction in tire life due to excessive heat from over deflection "
Is there a break-in period for my new tires? For better tire performance, it is recommended that new tires be driven at least 100 miles on paved, dry road surfaces to expel any release agents applied during the production process. How long should my tires last? There are numerous factors determining the length of service tires provide. Mileage will vary based upon the variety of road and climate conditions, driver habits, tire maintenance, tire construction and tread compound. If I only purchased two new tires, where should I mount them? The new tires should always be mounted on the rear axle of your vehicle. Make sure that the new tires are the same size and type as your current tires. Any Dextero retailer will be able to inspect or service the tires. Please refer to the dealer locator for a center nearest you. My tire loses air in 90 days, do I have a problem? No, it is usual to lose a pound of pressure every 30 days. Uneven wear is most likely an indicator of improper air pressure, misalignment, tire and wheel imbalance, a mechanical problem, or lack of regular tire rotation. Are punctures or cuts covered by the warranty? Our warranty covers defects in workmanship and material for the life of the tread or 5 years, whichever comes first. We do not cover tires that are damaged as a result of road hazards, cuts, punctures, impact, etc. Visit your nearest Dextero retailer so your vehicle and tires can be inspected. Vibration could be an indication of wear or damage to the drive train, suspension, tires and or wheels of your vehicle. Is there a reason why my tires are noisy? Noise is most commonly due to an uneven or irregular wear pattern that has developed on the tires. Please visit your nearest Dextero retailer to have your tires inspected. "Check inflation pressure on your tires. Please visit your nearest Dextero retailer to have your tires and suspension inspected. " What are the mileage warranties for Dextero products? Please refer to the specific product pages in the top menu under “products” at the top of each page at DexteroTires.com. 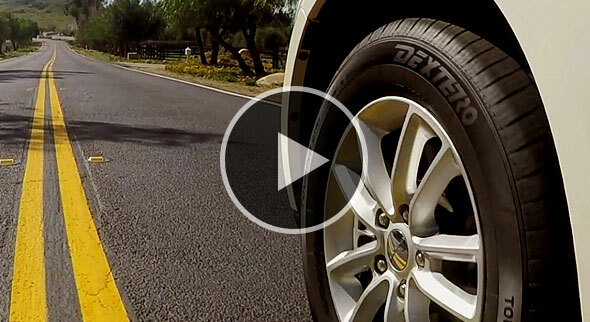 Do Dextero tires come with road hazard warranties? No, Dextero tires do not carry a Road Hazard Warranty. The tires are covered by a Five Year Manufacturers Limited Warranty and a Limited Mileage Treadwear Warranty on select products. What should I do if I have a warranty issue? Visit a Dextero retailer - a Walmart store - near you.